JR Kamakura Station is wheelchair accessible. 1 hour from Tokyo by train. 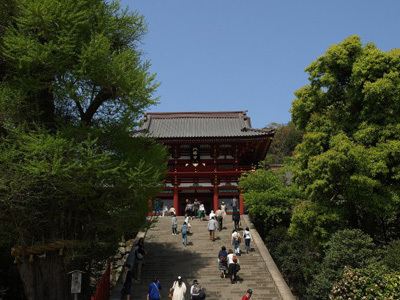 The tourist shopping street leads to the to shrine, Tsuruoka Hachimangu bulilt in the Kamakura period, about 800 years ago. Some bumpy paths in the shrine. Long stairs in front of the main sanctuary. 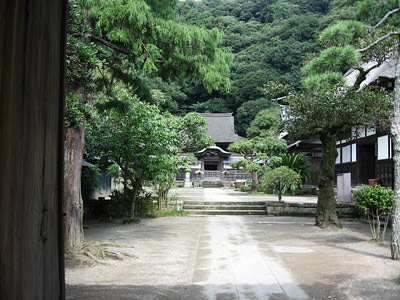 There is an evacuation road behind the shrine, but it is closed for visitors. Enkakuji : main route has stairs. There is non-step hilly road on right side for cars. Meigetsuin : main route has stairs. 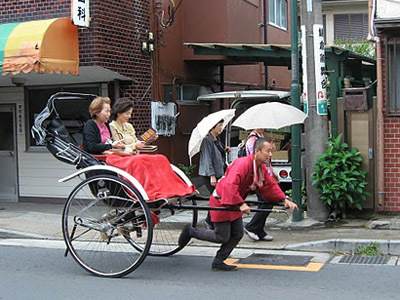 Wheelchair users can enter the temple area through the car road. This temple is famous for hydrangeas in June. Kenchoji : almost flat inside, wheelchair users can look around without any difficulty. Wheelchair accessible. Ramps at one side of the stairs. Wheelchair accessible toilets behind the Great Buddha. 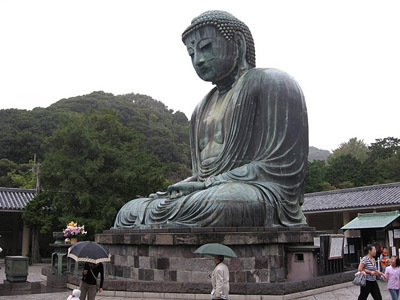 Lower floor buses run between JR Kamakura station and Kotokuin Temple (the Great Buddha). The tram station is also wheelchair accessible, but the road is narrow and uphill. 25min by Enoden train from Kamakura. A very popular beach for sufing. Summer is the high season. Many young people come and enjoy the beach. But the beach is not friendly for wheelchairs. Enoshima Aquarium is nice and wheelchair friendly. The Dolphin show is famous.